Westchester Therapist: Donna Marie Desai - Therapist 60154. I help gifted adults with the unique challengs they face. Send A Message To Donna Marie. Donna Marie Desai, LCPC, is a psychotherapist and community mental health educator. She holds a Masters degree in Counseling Psychology from Benedictine University and a Bachelors degree in Education from Northwestern University. She has been in private practice since 2002. Previously, she has worked at a community mental health agency and as an elementary teacher. Raising two very bright children required her to learn about the needs of highly intelligent and highly sensitive individuals which led to one of her specialties: helping gifted adults with the unique challenges they face. She provides therapy for many of the common difficulties in life such as depression, relationship problems, overwhelming stress, and life transitions. 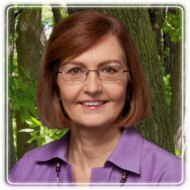 By employing her analytical counseling skills and teaching expertise, along with her sense of humor and compassion, Donna helps her clients resolve long-standing problems, manage acute crises, and make their lives easier and more satisfying. A teacher at heart, she also enjoys educating community groups about mental health topics that address common challenges, such as Surviving Someone Else's Depression; Healthy Self-Esteem; Smart Anger Management; and Coping with Difficult People.